Stefano Emili in 2004 decided to open the Med-Imm real estate srl in Viterbo. 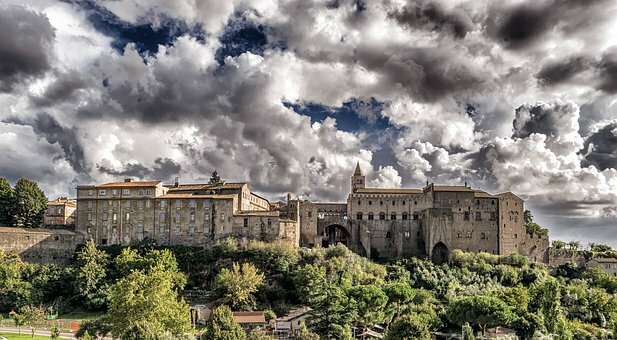 The choice was easy because Viterbo is a medieval town, rich in art, famous for the baths, the Etruscan sites and it’s the capital of a wonderful territory called “TUSCIA” located between the low Tuscany, Umbria, Rome and the Tyrrhenian Sea. Since the beginning, Med-Imm became a specialist in the sale of prestigious properties, villas and farmhouses, castles, luxury apartments, villages and farms in Tuscany, Umbria, Lazio and the rest of Italy, satisfying Italian and international customers. FIAIP is the largest representative association of real estate agents in Italy and guarantees our professionalism and quality services. Since 2008 we signed our membership and FIAIP represents us in international organizations as CEI Confédération Européenne de L’Immobilier and NAR National Association of Realtors,ensuring that professional qualifications of Real Estate Agents of the member countries are acknowledged in Europe and worldwide. We daily use data sharing systems such as MLSFiaip | REplat | AgestaNET to share properties with other thousands of agencies in Italy, ensuring a vast amount of real estates. 2018 will be the year of our project SHARING TUSCIA. We will promote our territory on an international level. We know that Tuscia is rich of enchanting landscapes, oustanding typical products and it is favorably setted between Rome and Tuscany. Even if Tuscia Region is not well known to the mass tourism, it has got a great potential to achieve a strong emotional impact on tourists. Stefano Emili through his project, has choosen to promote the most representative real estate properties combined with the excellence of local wine and food and also mixed with artistic and cultural events. This could be realized following the path provided from successful local entities such as Civita di Bagnoregio. Our main steps will be done exhibiting at the International real estate shows to collect contacts of foreign buyers, vendors and also overseas agencies to conclude agreements. In January 2018, a new project has started: the name is “OPEN HOUSE | Contemporary Art” and its main aim is the real estate promotion through Contemporary Art Exhibitions. The events will help to show in a new way the empty properties. We uphold the highest standards of professionalism, ethics and integrity whilst providing the best personalised real estate service to our friends and clients. In doing so we are proud to provide a positive and memorable experience creating loyal clients for life. With exceptional services for both vacant and occupied homes, we help to showcase the amazing features your home has to offer and enable potential buyers to “mentally move in.” Our goal and the purpose of home staging is to depersonalize your home to appeal to the maximum number of buyers/renters. The professional Home staging help to achieve more and higher offers for your home. We can assist to set up the utilities in your new home. You can trust us because our convention with UCA, grants you for amounts up to one year of non – payment of rent,possible damages and legal protection in any dispute. This is our counseling service for buyers or renters. We do for you the considerable work of research and documentary analysis to let you save money and time. Our last but not the list product, help us to show you our properties in the best way, providing aerial photos and videos using our Drone.